Product Details"Did you ever think that maybe there's more to life than being really, really, really, ridiculously good looking?" Obviously, Derek is talking about collecting the Funko Pop Zoolander figures. 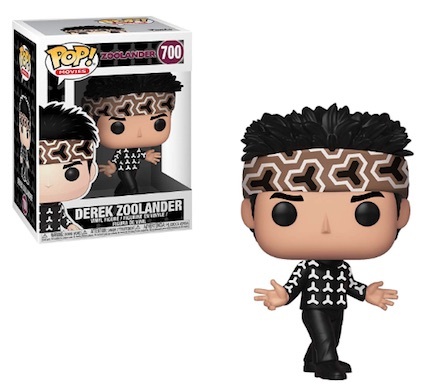 Finally giving male models their due credit, Funko Pop Zoolander covers the 2001 comedy with several Pop! Movies options. Title character Derek Zoolander, played by Ben Stiller, strikes a pose in his patterned headband and shirt. Of course, we are still waiting on his trademark "Blue Steel" look, which is tougher since most Pop! figures don't have lips. 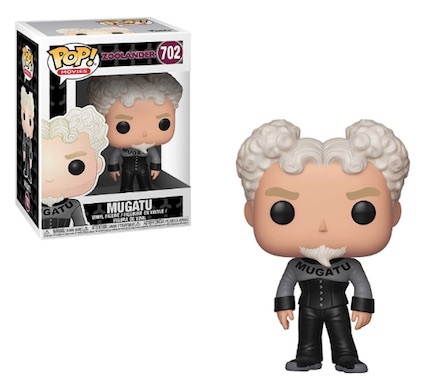 Shop for Zoolander Pop Figures on Amazon. 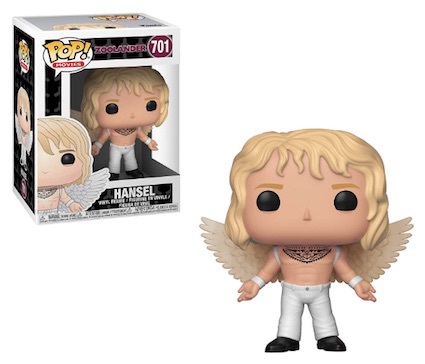 Dressed like an angel on the runway, frenemy Hansel (Owen Wilson) rocks wings, white jeans and a bare chest that reveals his massive tattoo. Just make sure you keep an eye out for the evil Jacobim Mugatu. The Will Ferrell character has oddly-shaped white hair and a white goatee along with a black-and-gray ensemble that displays his brand name. 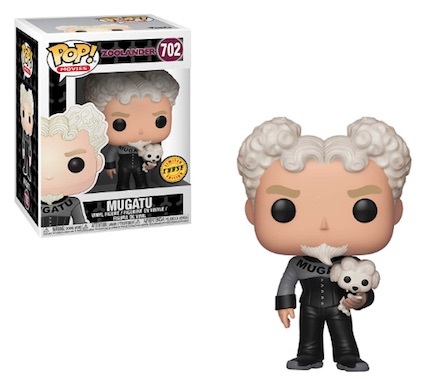 Mugatu also has a chase variant holding his white poodle. Although not as popular, the sequel, Zoolander 2, released in February 2016. 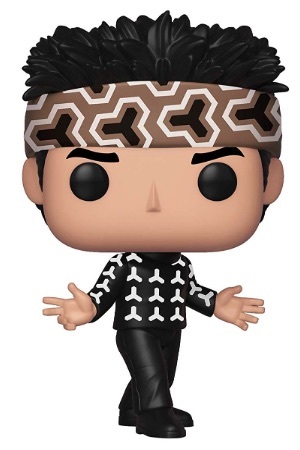 Drop us a line if you come across any other Funko Pop Zoolander figures.